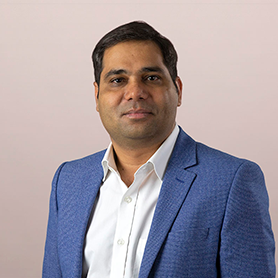 Satish is a senior forecast analyst and team leader on the ForecastView team in the New Delhi office, which is responsible for producing all of Forrester's consumer market forecasts. He focuses on consumer technology adoption, online retail, digital-influenced retail, mobile payments, and smart home devices. Satish often appears on TV and comments in the press on the online retail and consumer internet industry. He has been quoted in The New York Times, The Wall Street Journal, Economic Times, Bloomberg, Quartz, CNBC, and Forbes. Prior to joining Forrester, Satish worked with investment banking support teams and as an analyst for a global market research firm. He was responsible for the analysis and forecasting of mobile telephony and broadband markets in the MEA region. Satish received his bachelor's and master's degrees in electrical engineering from Indian Institute of Technology (IIT) in Bombay, India. Southeast Asia — Indonesia, Malaysia, the Philippines, Singapore, Thailand, and Vietnam — now has more than 272 million online adults and is increasingly important for online retailers. Forrester expects that online retail in the region will grow at a compound annual growth rate (CAGR) of 23% to reach $53 billion in 2023. Our forecast details online retail growth for nine product categories and six countries. It also highlights the breakdown of mobile versus desktop commerce and provides historical data going back to 2014. With one-quarter of clothing and footwear (fashion) retail sales happening online — and still rapidly changing — brick-and-mortar and eCommerce retailers are vying for shoppers' attention and dollars. Traditional offline fashion retailers are facing store closures due to a progressive shift online. We expect online fashion sales to account for 36% of total fashion retail by 2022. This data-driven report gives a five-year view of online and offline fashion retail sales growth, the shift in buyers, and the global market dynamic for 32 countries. We expect mobile payments in the EU-7 to grow at a compound annual growth rate (CAGR) of 21.7% from 2017 to 2022. Mobile remote payments, which include payments for retail, travel, food ordering, and cab hailing, accounted for 80% of mobile payments in 2017. Our forecast details the growth of mobile in-person payments, remote mobile commerce, and mobile peer-to-peer (P2P) payments for France, Germany, Italy, Netherlands, Spain, Sweden, and the UK. With more than $5 trillion in sales at stake in the grocery category, both offline and online retailers are fighting for their share of the biggest prize in retail. As consumers begin to embrace buying groceries online, we expect the global online grocery market to grow at a compound annual growth rate (CAGR) of 17% from 2017 to 2022. In this report, we discuss the adoption of online grocery in 27 countries, the business models that online grocers are adopting, the impact of smart speakers on digital grocery sales, and the five-year forecast for this sector. The Indian online retail market is at an early stage, yet it is attracting investment and Forrester expects it to grow at a rapid pace through 2019. We anticipate that India's online retail spending will increase at a compound annual growth rate of more than 51% over the next five years as more Indian consumers start purchasing online, especially via mobile devices. The rapid emergence of mobile as a shopping channel makes it critical for eBusiness professionals to devise a mobile channel strategy. This report discusses how mobile is driving the online retail sales in India and how eBusiness teams in India need to prioritize reach to capture a greater share of the country's online retail market.